Seoul experienced its second consecutive "super tropical" night as the mercury again shot over 30 degree Celsius through the early hours of Friday morning. The Korea Meteorological Administration said morning lows in Seoul on Friday were 30-point-four degrees, the highest figure to be posted since the capital began weather observation in 1907. Temperatures broke a record high posted only the day before. 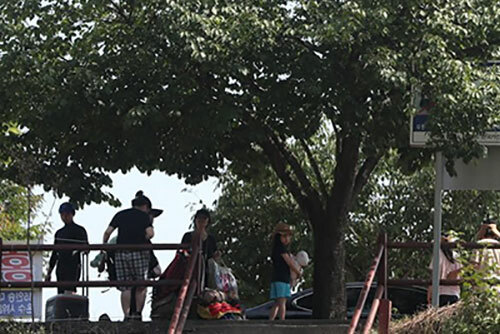 As of Friday afternoon, Yeongcheon, North Gyeongsang Province saw the highest afternoon temperature at 40 degrees Celsius. Capital Seoul also saw its afternoon high peaking at 37-point-nine degrees.